He certainly has a good point! 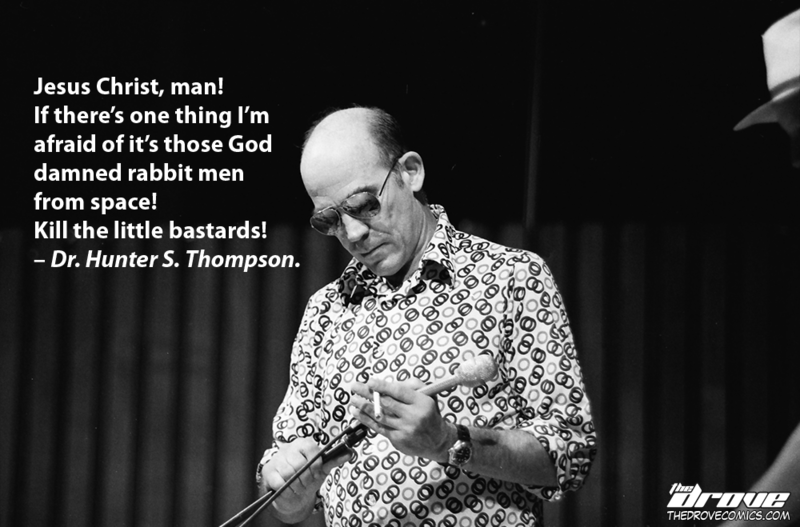 This entry was posted in Real Celebrity Quotes and tagged celebrity quote, comic, dr. gonzo, fear and loathing, fear and loathing in las vegas, gonzo, hunter s. thompson, hunter thompson, real celebrity quote, sci-fi, the drove, thedrove, webcomic. Bookmark the permalink. ← “Super Drovio Bros” T-Shirts On Sale NOW!